A member’s monthly retirement allowance consists of an annuity and a pension. The annuity portion is based on the total amount of contributions and interest in a member’s annuity savings account on the date of the member’s retirement. Unless otherwise specified by law, the pension portion is the difference between the total retirement allowance calculated under the plan and the annuity. The following options available to retirees are the same for all retirement types. OPTION A: provides the highest payment to the retiree. All payments will cease upon the retiree’s death and no survivor benefits will be provided. OPTION B: provides an allowance that is approximately 2% less than Option A. 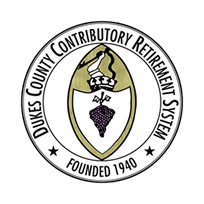 Upon the retiree’s death, the balance of the retiree’s contributions, if any, is paid to the retiree’s beneficiary. OPTION C: is the joint and last survivor allowance. The retiree’s allowance is approximately 7% to 14% less than the Option A allowance. Upon the retiree’s death, the designated beneficiary will be paid a monthly allowance for the remainder of the beneficiary’s lifetime. The survivor benefit is equal to 2/3 of the retirement allowance that the retiree was receiving. A retiree may name only one person as the Option C beneficiary and it must be the retiree’s parent, spouse, sibling, child or former spouse who has not remarried. Should a designated Option C beneficiary predecease the retiree, the retiree’s Option C benefit will “pop-up” to the Option A retirement allowance.